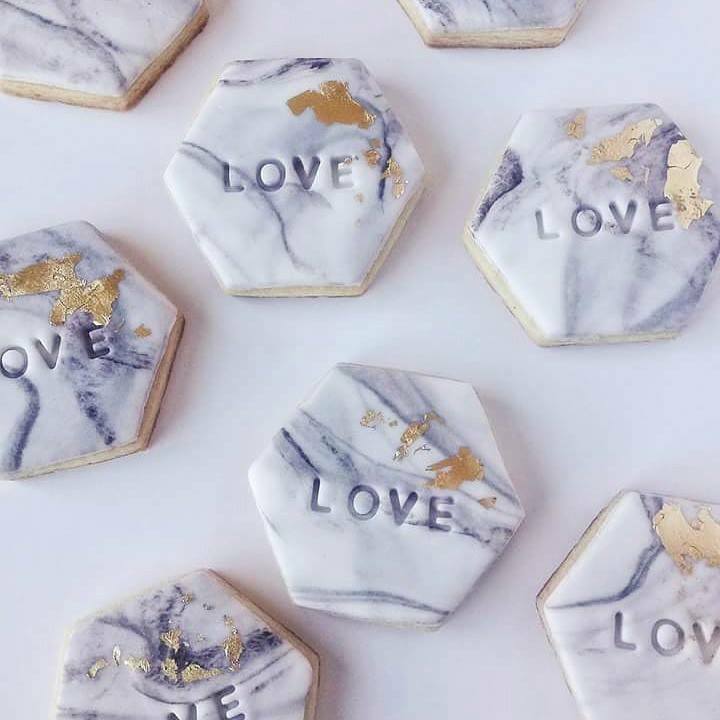 Our custom designed cookies are perfect for any occasion. They make great favours or place settings for wedding and parties, little gifts to celebrate or say thank you, corporate branding or event styling. We can post cookies NZ wide packaged in heat sealed bags so they stay fresh for weeks. Flavours (per dozen): vanilla bean, orange and cardamom, lemon, raspberry, chocolate, gingerbread. Cookies are iced with fondant in the colour of your choice and can be stamped with your custom message or quote. Alternatively they can be decorated with edible art paint, watercolour or calligraphy. Gold and silver leaf can be added at an extra cost. Minimum order is one dozen, although we release six cookie gift boxes for certain holidays. We can package them in heat sealed clear bags or provide them loose. If you have your own labels, tags or ribbons for your wedding we can package them with those for you as well. Contact Rebecca to inquire and discuss your ideas. Prices start from $4 per cookie or $48 per dozen.